Make holiday giving a gift from the heart with free Christmas crafts and plans that are easy to build and fun for the whole family. Create a candle centerpiece that features an angel or a reindeer flanked by glowing candles. 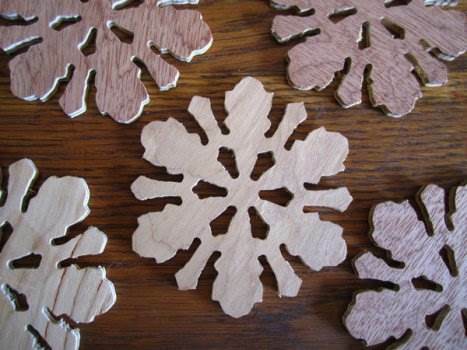 Make a set of snowflake ornaments with scroll saw designs the youngsters can help sand and paint. 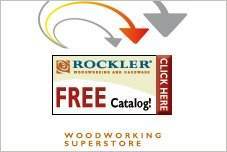 Traditional globes and teardrop shapes are easily cut on a lathe, painted and oiled for a rich European look. 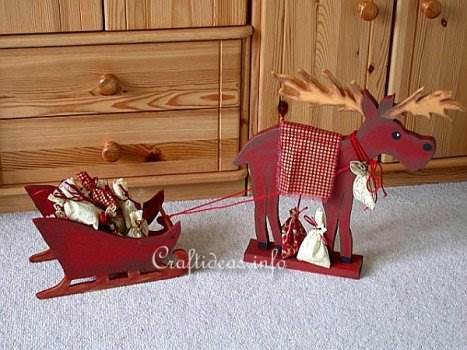 Christmas crafts can be customized and painted to blend with any holiday color scheme. 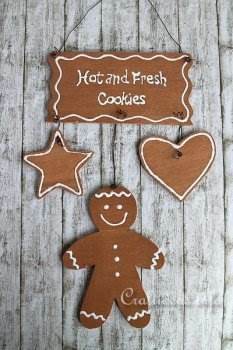 Card caddies, gingerbread puzzles, tree breadboards, scrappy snowmen and log-bodied reindeer are all simple gifts and craft show treasures that will please everyone on your gift list. 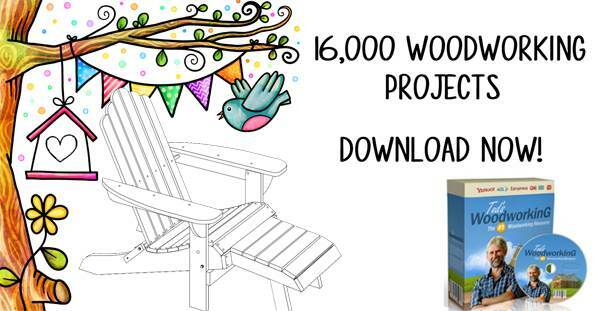 Signs, pins, ornaments and wall decorations are easy and fast to build for family projects and church fundraisers. 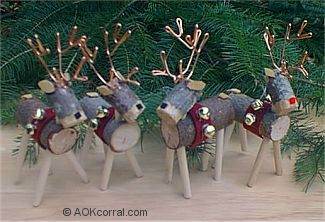 Using tree branches, hot glue and a few other items you can make these precious reindeer. 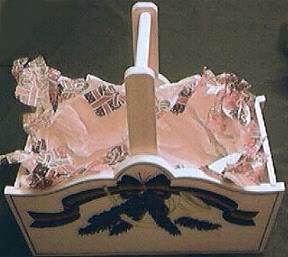 Build a wooden Christmas card caddy that not only can hold cards but also makes a thoughtful gift when filled with goodies. Build a praying angel between two candle stick holders for a spiritual center piece this Christmas. 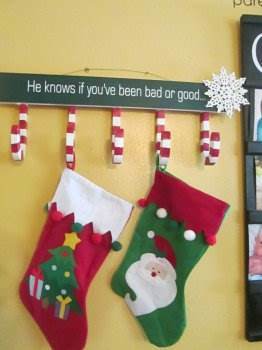 Cute stocking hangar with candy canes as hooks. Only takes a few tools to make this calendar. These lighted snowflakes are sturdy enough to hang outside. Plywood works great for these inventive coasters. 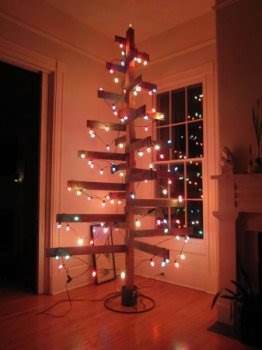 Make an alternative Christmas tree out of pallets. This wooden sign would be great in a kitchen. 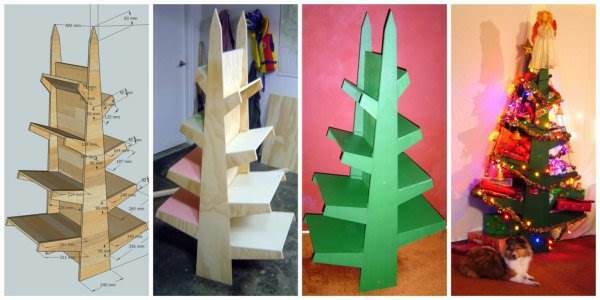 Turn wood pallets into a Christmas tree. 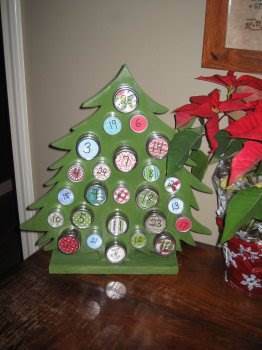 Here is a dog-proof Christmas tree.